The Houston Astros did not enter a league of their own by reaching 100 wins for the second consecutive season on Tuesday, but they are in incredibly elite company. Houston became the first team to win 100 games in back-to-back seasons since the 2004-05 St Louis Cardinals, and the first American League team since the 2002-04 New York Yankees. Even more impressively, they are the first defending champions to win 100 games since the Oakland Athletics in 1990 (103). Infielder Alex Bregman was excited to reach the mark on Tuesday in a 4-1 over the Toronto Blue Jays, but was quick to point out the Astros accomplished the feat despite several obstacles. "We have 100 wins and honestly we've been banged up all year," Bregman told the Athletic. Houston have a 100-57 record so far this season. They achieved that mark without Carlos Correa in the lineup Tuesday. The 2015 American League Rookie of the Year has missed 50 games in 2018. The Astros have also been without All-Stars George Springer (20 games) and Jose Altuve (24) for long stretches. There was a stint in the season from June to August where they did not have a lineup featuring all three of Springer, Altuve and Correa a single time. 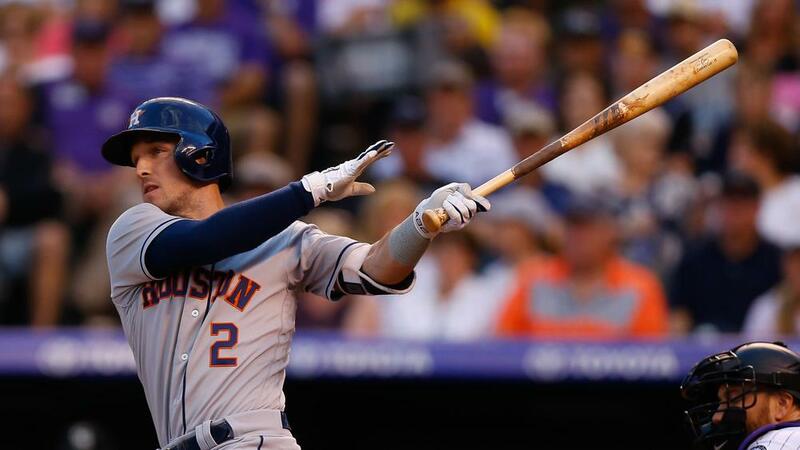 A big reason why they made it through that stretch was Bregman, who hit his 31st home run of the season on Tuesday. Bregman is in the MVP conversation because of a season which has featured a 53-game road on-base streak, 31 home runs, 103 RBIs and a .289 batting average. Now, the Astros are mostly healthy and have a better record than any American League team in September. "We really haven’t played our best baseball until lately," Bregman told the Athletic. "It’s a good sign heading into the postseason."